Check out the latest news regarding the events leading up to the end of Season 7, and start of Season 8 in Fortnite! Find out information regarding in-game events, possible skins and more. 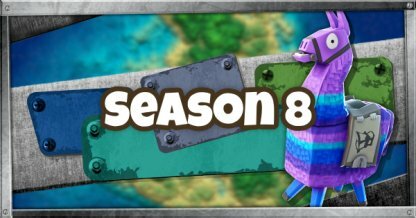 NOTE: The details in this article are based on speculation regarding Season 8 using events happening in-game. This article will be updated regularly as more information is confirmed. With Season 7 coming to an end, it is inevitable that there will be in-game events that will lead up to the start of Season 8 in Fortnite Battle Royale. Listed below are what is happening so far within the world of Fortnite. The window specified above are the dates where Season 8 is speculated to kick off. 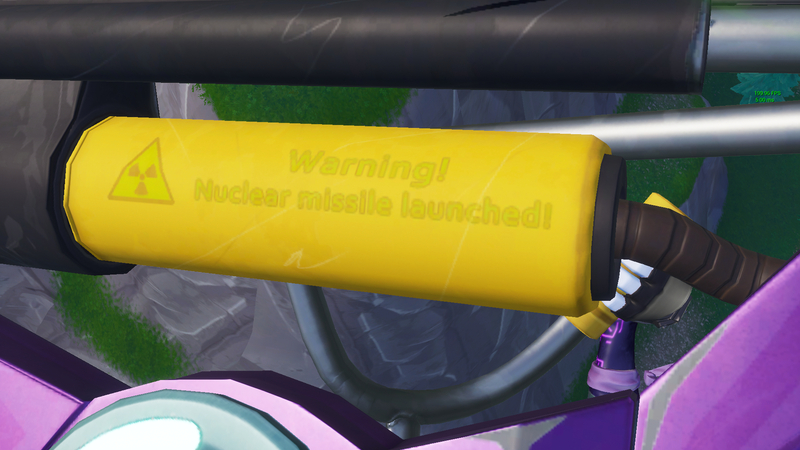 There is a yellow warning found on the Equalizer Glider from the 14 Days Of Fortnite Event. The warning reads "WARNING: Nuclear missile launched!" As of February 5, 2019, earthquakes have been affecting the map of Fortnite. The tremors are said to get more powerful each time it hits, and there are 50 expected earthquakes from the first tremor to the last. With the number of earthquakes hitting the map at intervals, it may be safe to assume that these earthquakes will possibly affect the map in some way. Fissures may be created on different parts of the map, or even the separation of the map into chunks. 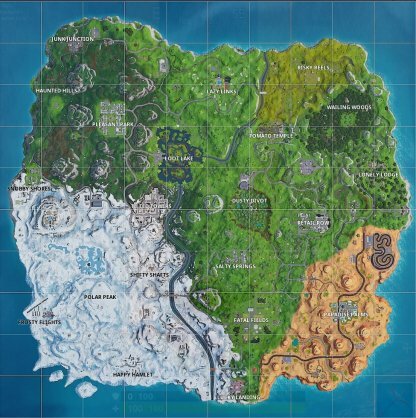 The Snowy section of the map present in Season 7 will most likely lessen, if not disappear completely. 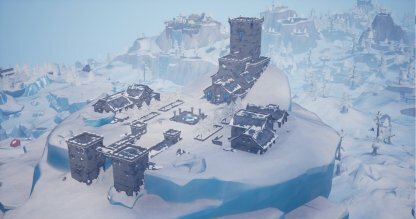 This may also mean that new parts of the frozen castle at Polar Peak will now be accessible due to the snow melting. Tying into the speculation the theme of melting, and bodies of water, it may mean that after the snow has melted, several bodies of water may appear if not most of the map is submerged in water. There are several recently released cosmetic items that point to a certain theme. Some banners, sprays, and even skins point to the theme of "melting" or "ocean. Submarines appear on the map at different points. 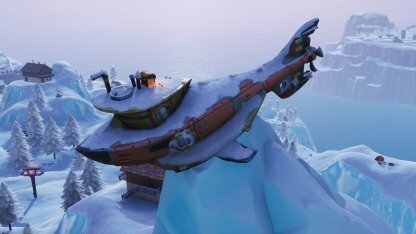 With the snow melting, it could mean that these submarines will become new vehicles to help transport players around the map. The themes are usually related to the banners released for free. Based on the above speculations, it seems that the banners shown above are related to the next season.